Halloween Perler Fused Bead Kits are such an easy and fun craft! They are the perfect Halloween craft for parents to make with their children. After they make their first kit design, kids love to create their own designs. Even though they need their parents help when fusing the beads together, in just a very short amount of time, kids will have their own work of art to give as gifts or to keep for themselves. My children always enjoyed making the little Perler Bead kits. I have wonderful memories of watching my children and their friends gathered around the kitchen table, putting together their Perler Bead designs and waiting with great anticipation for me to fuse the beads together for a finished project. They were always so proud of their creations! Perler Bead Kits are perfect crafts for kids. Let your kids try one today! I guess all kids love Halloween pumpkins! 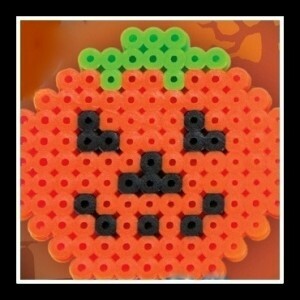 This Halloween Pumpkin Perler Bead kit is an excellent choice for their first project or to add to their collection. 1) Working on a counter top, table or ironing board, assemble your Perler bead design by placing Perler beads on a Perler peg board. Work from the inside out of the pattern or from one side to the other. 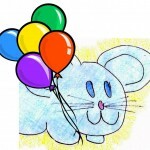 2) Fusing should be done by an adult. Cover the beads with the ironing paper. Using a dry iron set to the medium heat setting, carefully “iron” the beads in a gentle circular motion for about 10 seconds to fuse the beads together. 3) Allow to cool. Peel off the ironing paper. 4) Remove the design from the peg board and flip it over. Cover it with the ironing paper and iron the other side to fuse it. Note: Ironing paper and peg Boards are reusable. A Really Cool Pattern Source! Halloween isn’t quite complete without a little ghost fun! This Halloween Ghost Perler Bead kit is truly a friendly ghost. The Halloween Ghost Perler Bead kit would be the perfect first project since it is mostly one color that is outlined in white. This Skull Perler Bead kit would be another great selection for a first time Perler Bead project or for younger children who would have the patience to make a more intricate pattern. This Kit contains 227 pieces: 225 beads, 1 pegboard and ironing paper. Working with this craft should be supervised by an adult since the use of an iron is necessary. Don’t want anyone to get hurt! Perler Kits are available in candy, witches, zombies, skulls, monsters and vampires! 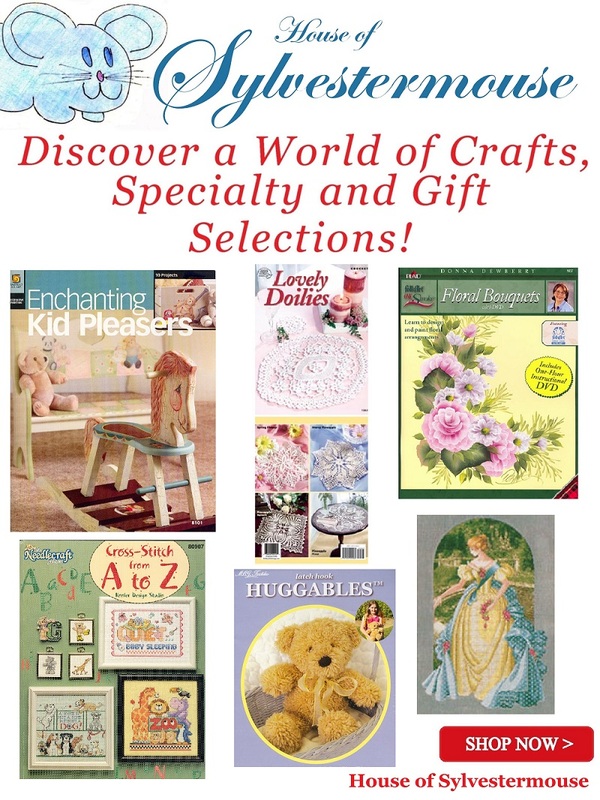 Let your child choose which is his/her favorite to make! They are all fun and easy. The best part of this Halloween craft, they last a lot longer than the candy they will get trick or treating. Making any of these Perler kits with your child would also be making special memories. Decades from now, you will remember the fun Halloween crafts you made together. Another great choice for a Halloween craft! This is not a “Perler” bead kit, but fused bead kits are pretty much synonymous with Perler, so I have included it here. This witch doesn’t look the least bit scary. The pumpkin scarecrow is also included in this kit. Halloween would simply not be complete without Dracula. They are truly some of the best Halloween characters that we all love to fear. Kids will most certainly enjoy creating their own vampire Dracula. Oh, and this one won’t bite! Pumpkin Man Biggie Bead Perler Fused Beads Kit features dangling arms and legs on your finished craft. This kit is recommended for ages 4 years and up. Perler Bead kits contain everything you need to make your Perler project. If you have previously purchased Perler Bead kits, the templates are reusable so there is no need to purchase additional pegboards. Here are a few video tutorials of designs others have created by using spare beads. If you prefer to make your own design, Perler Bead peg boards and Perler Beads can be purchased separately below. Grab a simple cross stitch pattern that you like, and help your child create their own unique Halloween craft masterpiece. Perler Bead peg boards are necessary when making perler bead craft projects. They literally have pegs that hold the beads in place while you lay out the design. They go right into the oven and serve as a “tray” for your design as it melts together. If I am creating my own Perler bead kit, I do enjoy a variety of colored beads, so I would recommend purchasing the multi-mix color jar instead of separate colors. Always keep any leftover Perler Beads from kits and add them to your jar for future projects.